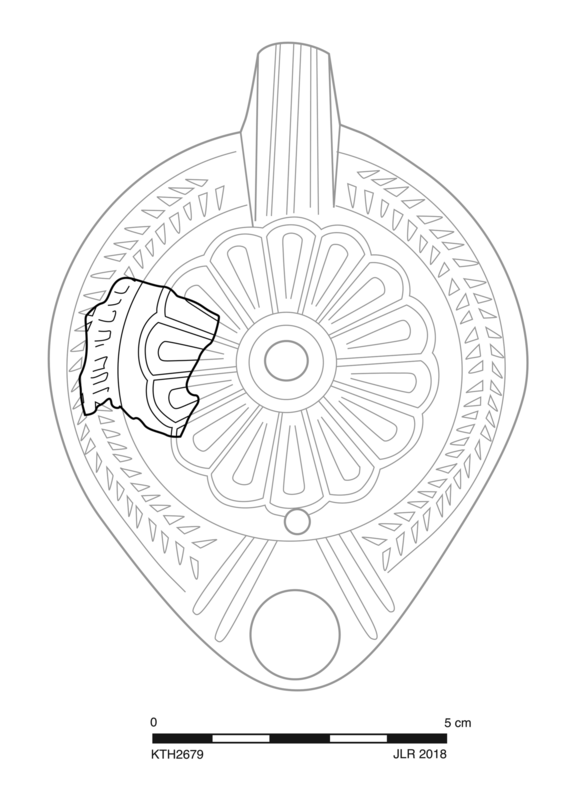 Circular, sunken discus with filling hole off center and relief of rosette with 14(?) petals and thick, raised rim. Flat shoulder with raised herringbone. Late Roman Athenian fabric. Very thin, dull wash, slightly more brown than fabric, preserved only in patches. 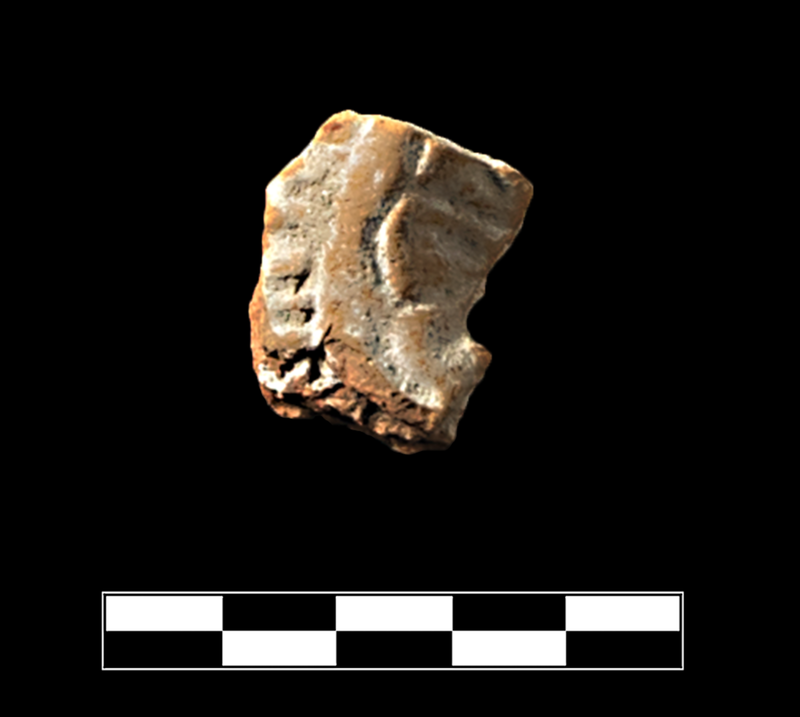 One fragment preserves roughly one quarter of discus and small part of shoulder. Slight, sparse abrasion and erosion and chipping around breaks; thin film of encrustation.